BR 45/22 C Bp Pack 17834600 https://www.kaercher.com/tn/professional/floor-scrubbers-scrubber-dryers/scrubber-driers/walk-behind-scrubber-driers/br-45-22-c-bp-pack-17834600.html Fully equipped, battery-operated BR 45/22 C Bp Pack scrubber drier. With rotating roller brush head and KART technology for maximum manoeuvrability with a large area performance. 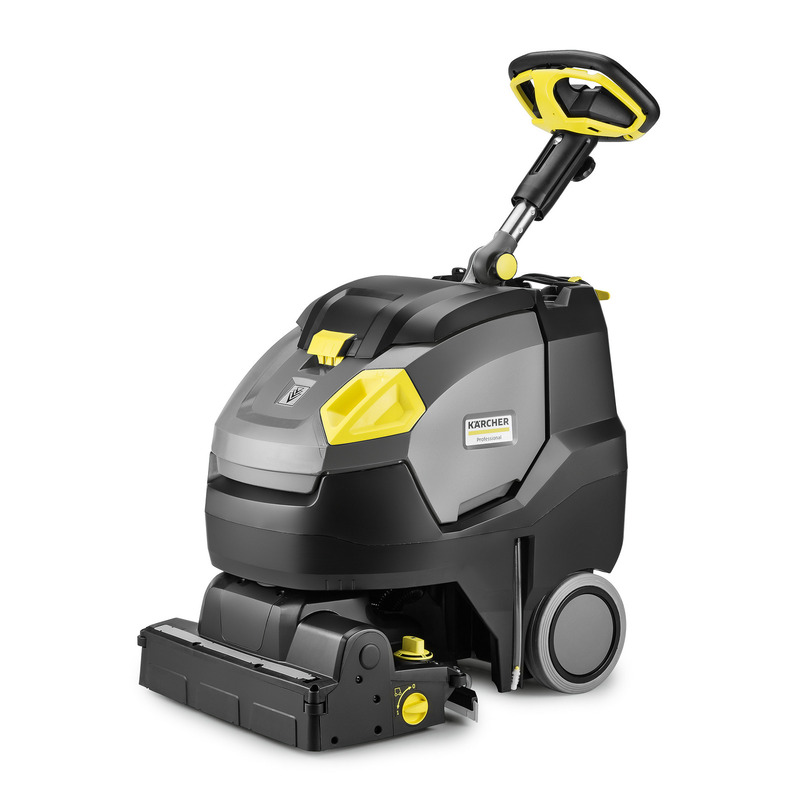 Fully equipped, battery-operated BR 45/22 C Bp Pack scrubber drier. With rotating roller brush head and KART technology for maximum manoeuvrability with a large area performance. Even on large surfaces, a certain narrowness often prevails in practice due to height constraints. Our BR 45/22 C Bp Pack scrubber drier is the ideal choice for these types of situations. 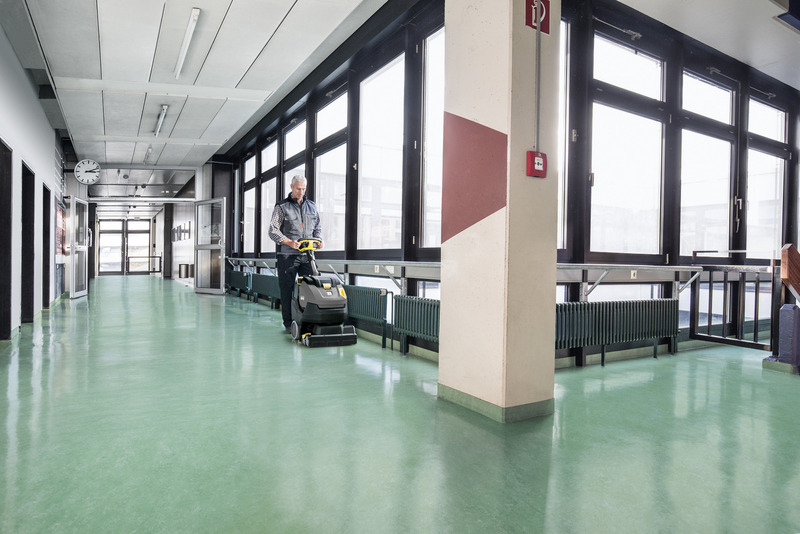 Equipped with a roller brush head with KART technology (Kärcher Advanced Response Technology) that is rotatable by 200 degrees in both directions and has a large working width, it is exceptionally manoeuvrable and therefore ideally suited to highly cluttered surfaces. At the same time, the positioning of the brush and squeegees, which is continuously transverse to the direction of travel, ensures an increase in the area performance and a uniform cleaning result. Our built-in, high-power lithium-ion batteries offer a lifetime up to three times longer than that of conventional lead batteries and are also completely maintenance-free. Using the innovative eco!efficiency mode can increase their run time evenmore significantly and even reduce the operating noise by around 40%. The optional HEPA filter filters the exhaust air from the dirty water, allowing you to work in hygiene-sensitive areas.